How tough are times in parts of the US these days? 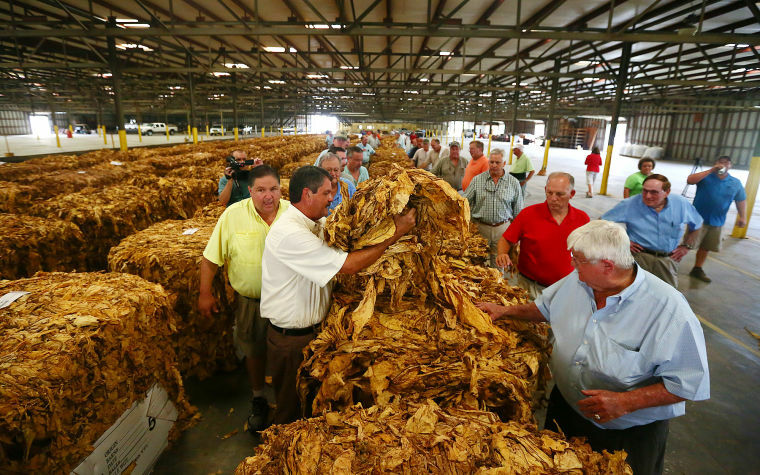 Look at the grade of hobo that can be found wandering the rails of the Deep South. 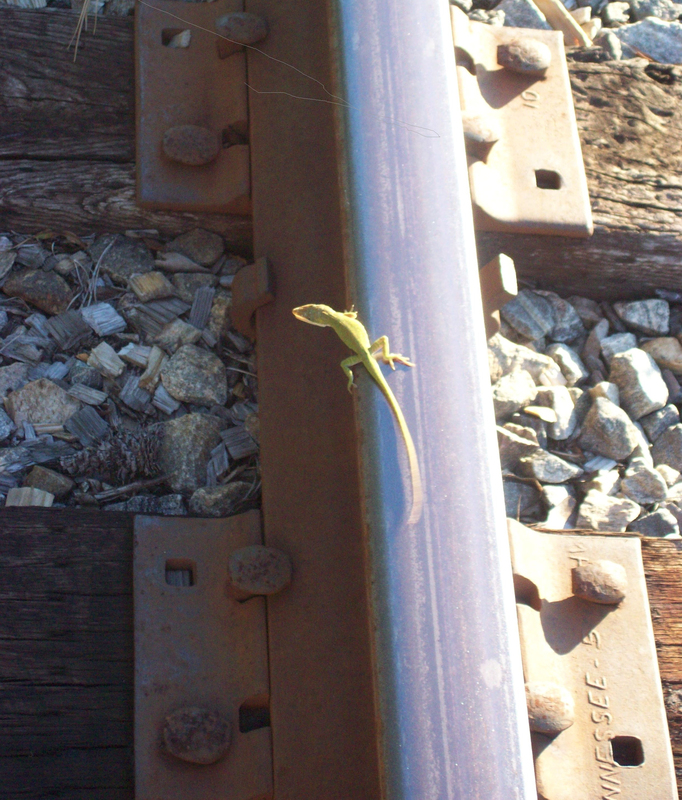 The above Carolina anole, about six inches long, kept up a steady pace about four feet in front of me as I walked down the Norfolk Southern tracks in the late afternoon hours near Silverstreet, SC, earlier this week. That the steel tracks, having baked in the broiling sun all day, were quite hot didn’t dissuade the diminutive reptile from its smooth, straight path. 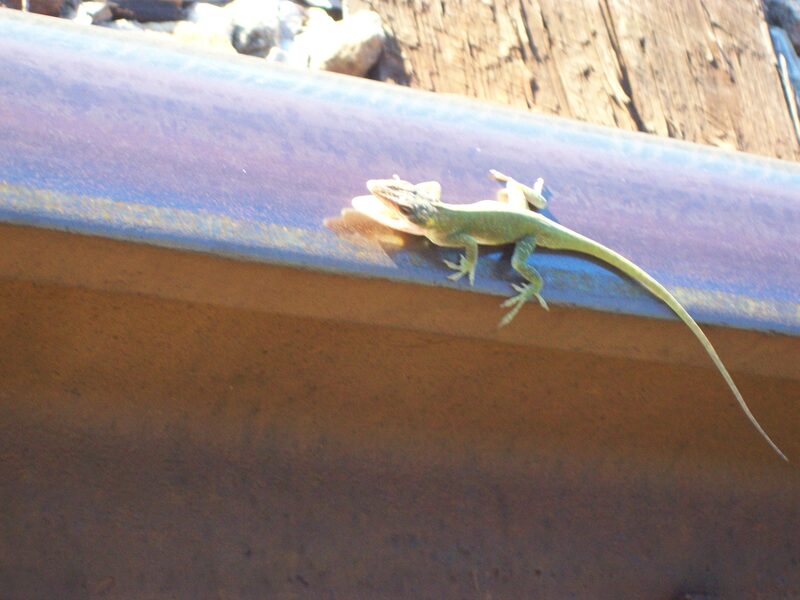 When I would attempt to get a close-up photo, the anole would hop off the rail, scamper across a railroad tie and jump up onto the other rail. This went on for several minutes before it finally grew tired and sat atop the track with its mouth agape, a threat of sorts, one supposes. Carolina anoles have the ability to change colors, from dark brown to bright green, depending on their background, though they’re not considered true chameleons. While their bite is relatively painless, anoles will grip hard enough and with enough tenacity that they can dangle from an earlobe and even a nose if given the opportunity. This tends to be more entertaining for children than spouses, or so I have heard. I eventually took the above critter, worn out from its rail-hopping antics, and placed it in a patch of cool, leafy shade. It scuttled away into the green grass, blending in quickly. Final words of the fervent, a rogue or a public servant? The above epitaph certainly leaves a bit of room for interpretation, doesn’t it? That Mr. Williams was a former postal worker and the inscription was a means of underscoring his years of service. While No. 2 is the most entertaining option, it would seem that if the decedent was real pill it’s likely his cohorts would have helped him shuffle off this mortal coil long before he reached 79 years of age. 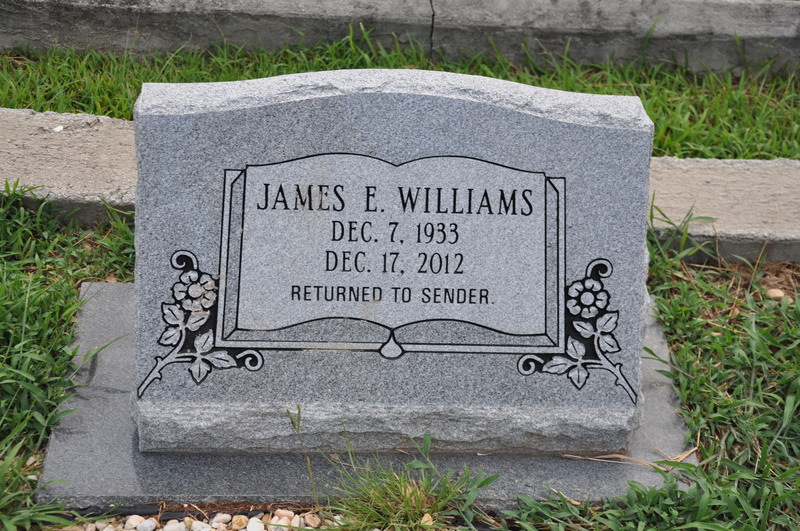 Given that Mr. Williams is buried in the Hannah AME Church Cemetery in rural Newberry County, SC, it appears that No. 1 and possibly No 3 are the more probable explanations. Of course, it could simply be that Mr. Williams wanted to ensure a chuckle to those passing by. Next year will mark the 200th anniversary of one of the Confederacy’s greatest foes: General Braxton Bragg. Unfortunate for the Southern cause was the fact that Bragg wore Confederate gray. 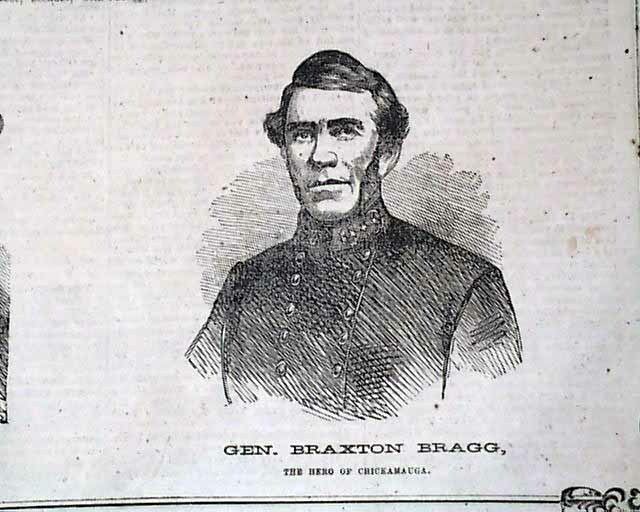 Bragg, born March 22, 1817, in North Carolina, was a key Southern commander in the Western Theater and later an important military advisor to the Confederate President Jefferson Davis. Although West Point-educated and active in the Seminole and Mexican-American wars, Bragg proved indecisive, ineffective and querulous as a Confederate general, earning the disdain of subordinates and superiors alike. 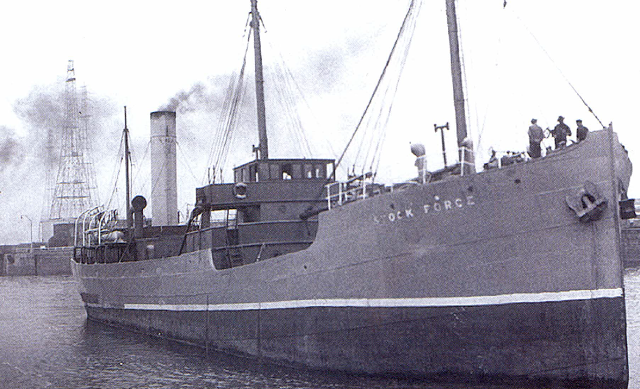 Bragg feuded with most everyone he came into contact with except Davis, and even Bragg and Davis were said to have squabbled mightily in the years before the war. In fact, as Union Gen. Ulysses S. Grant recalled in his memoirs, during Bragg’s time fighting Indians on the frontier in the 1850s the latter even managed to get into a major league rhubarb with … himself. Grant related an experience that occurred when Bragg had been both company commander as well as company quartermaster, the officer in charge of approving the disbursement of provisions, according to Civil War Trust. Bragg’s obsession with military propriety would seem to have bordered on the maniacal. During the Mexican-American War, for example, while Bragg and his men were enduring a murderous artillery barrage at Monterrey, Bragg saw an American horse driver fall dead from his saddle. Bragg ordered his retreating men to halt, and in the middle of the onslaught ordered one of the other horsemen to dismount, turn around and recover the dead man’s sword because it was public property, issued by the government. The horseman also took from the corpse a pocket knife, fearing that if he didn’t Bragg would send him back for it. It would seem likely that Bragg suffered from one or more mental disorders that 150 years ago were simply chalked up to being cantankerous and thin-skinned. Whatever the true diagnosis, he was a poor choice to lead men into battle. Some 190 years ago, Vizir, among the most beloved of the scores of horses Napoleon rode into combat, died, having outlived his master and likely all 130 of the other horses the French emperor used during his 14-year reign. Today, the remains of Vizir, who accompanied the famed warrior at the Battle of Jena in October 1806, in many other battles in the Prussian and Polish campaigns, into exile on the island of Elba in 1814 and then back to France again during The Hundred Days, stands in a glass cabinet in the Musée de l’Armée in Paris, not far from the final repose of Napoleon himself. Time has left Vizir, a gray-white Arabian stallion, in rough shape, and in May the museum launched a funding effort to enable it to restore the remains of the steed. More than $23,130 was raised and a pair of taxidermists who are specialists in the restoration of organic material are at work on Vizir’s degraded hide, according to The History Blog. The project, which will take about a month, involves repairing tears and cracks, notably a gaping fissure running down one shoulder. 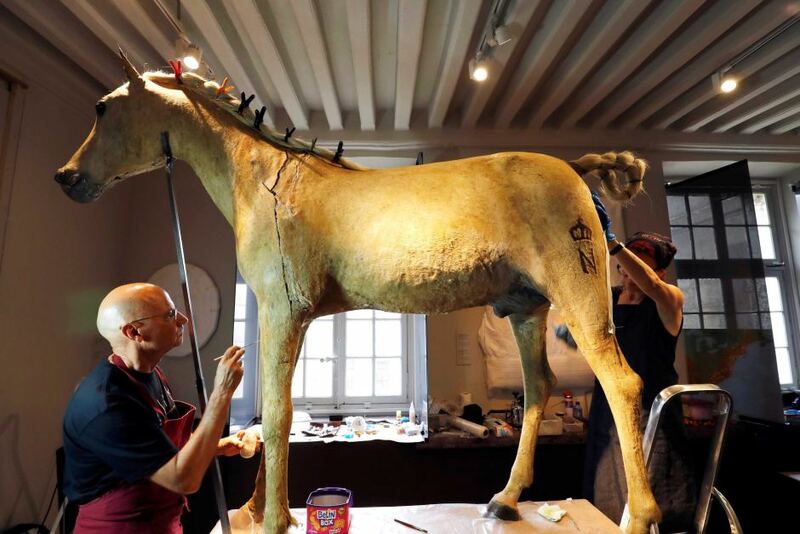 The taxidermists will also rehydrate the mounted beast and give it a good dusting, according to Agence-France Presse. Vizir was born in 1793 in the Ottoman Empire and presented by Sultan Selim III to Napoleon, then-First Consul of France, in 1802, a diplomatic gift marking the peace treaty between the Ottoman Empire and France after three years of war. Napoleon’s horses were trained to withstand battle, an important consideration given that as many as 20 were shot from under him during his many years of waging war. Vizir, branded with an N topped with a crown, was fortunate in that he was not enlisted for duty during Napoleon’s disastrous Russian campaign or the subsequent ones in Germany and France because as a 20-year-old he was considered too old for battle. He was at Waterloo in 1815, but kept behind the lines. After Napoleon’s final defeat at Waterloo and subsequent exile to St. Helena, Vizir was retired and was taken in by Philippe de Chaulaire, a squire of the imperial stables. The horse died on July 30, 1826, at age 33. Chaulaire had him taxidermied but fearing the anti-Napoleonic political climate of the Bourbon Restoration sold Vizir to William Clark, an Englishman living in northern France. Clark felt the same political pressure after Louis-Napoleon’s failed coup in 1836 and three years later passed Vizir along to another Englishman, John Greaves. Greaves smuggled the stuffed horse out of France into England by dumping the framing, unstitching his skin and stashing it in his suitcase. Safe in England, Vizir was remounted and put on display at Manchester’s Natural History Museum in 1843. Vizir returned to France in 1868 when the museum, forced to close its doors due to financial problems, gifted him to Louis-Napoleon, now Emperor Napoleon III, during a visit to England. Not knowing what else to do with a large stuffed horse, Napoleon III stored it in the Louvre where it remained out of sight for 30 years until it was rediscovered in 1904 and transferred to the newly founded Musée de l’Armée in 1905. Today, Vizir is one of thousands of attractions in the museum, alongside the likes of the 16th century sword of King Francis I and a World War I Renault FT17, one of France’s first tanks. The equine is showcased just a short distance from his master, who rests under the Dome of Les Invalides. Technophobes worry about a world dominated by robots bent on enslaving humans. Others are vexed by the thought of a society corrupted by an over-reliance on technology that leaves humans unable to function on their own. I say: Beware the cyborg insects! Researchers are trying to take locusts, the same insects that love to strip the fields of already-starving populations, and marry their keen sense of smell with nanotechnology in a bid to create living bomb detectors. While relying on an insect over a bomb-sniffing drone or dog might seem fanciful, the bottom line, according to team leader Baranidharan Raman, is that simpler is better. Dogs have one of the most powerful senses of smell amongst animals, but require years of training – and a great deal of expense; locusts have a strong sense of smell, and can be directed much more simply, according to Red Orbit. 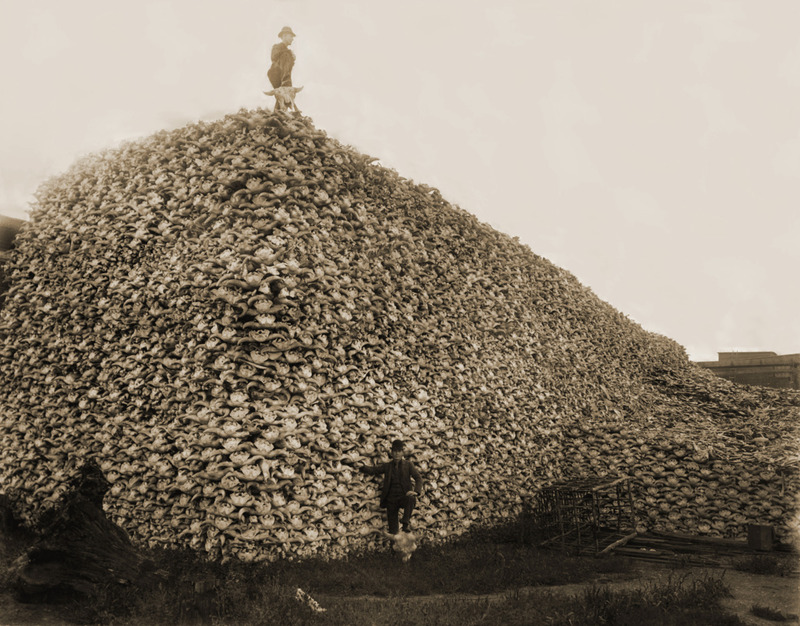 Plus, the locust system might perform better than man-made ones. “It took only a few hundred milliseconds for the locust’s brain to begin tracking a novel odor introduced in its surroundings,” Raman told the BBC. “The locusts are processing chemical cues in an extremely rapid fashion. 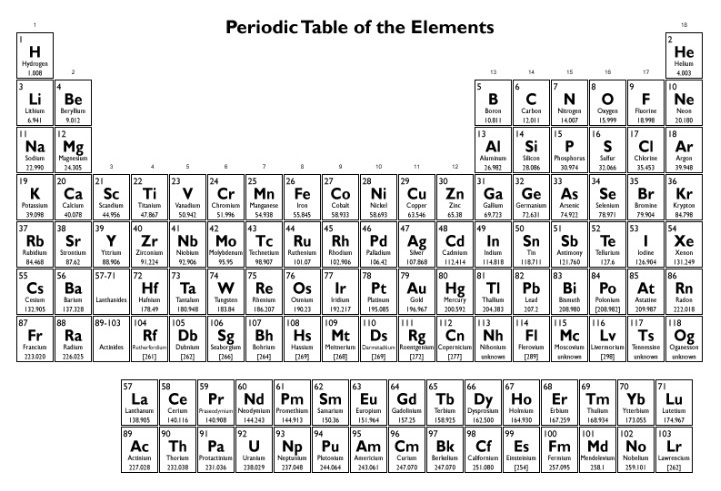 “Even the state-of-the-art miniaturized chemical sensing devices have a handful of sensors. On the other hand, if you look at the insect antennae, where their chemical sensors are located, there are several hundreds of thousands of sensors and of a variety of types,” he added. And, let’s face it, it’s unlikely anyone’s going to get attached to “Elijah,” the bomb-sniffing locust, making him considerably more expendable than a police squad’s bomb dog or an expensive robot. 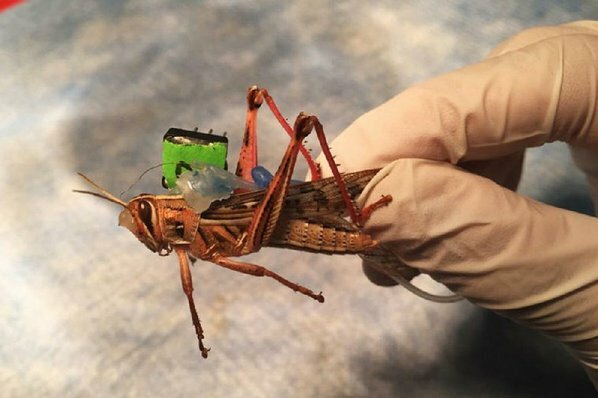 These “cyborg” locusts are currently in their early phase of testing, but Raman believes that the technology could become available within two years. Raman’s team recently received a grant of $750,000 from the US Office of Naval Research for his project. That will either move the project considerably along or, if they’re already in the advanced stages, procure a whole mess of locusts. There are few alive today who remember baseball’s first golden era, that of the 1920s and ‘30s, when greats such as Babe Ruth, Lou Gehrig, Jimmie Foxx, Lefty Grove, Charlie Gehringer, Mel Ott, Carl Hubbell, Jim Bottomley, Rogers Hornsby, Ted Lyons, Pie Traynor and the Waner brothers, to name but a few, plied their trade on diamonds in a handful of major league cities. Obviously, the length of time that has elapsed is a major reason – Babe Ruth, for one, retired more than 80 years ago – but there’s also the fact that one would had to have been not only a baseball fan, but located in fewer than a dozen cities to have regularly witnessed the slugging prowess of a Foxx or Ruth or the pitching wizardry of a Grove or Hubbell. In an era before television, sports highlight shows and big-time commercial endorsements, the only way most Americans ever got to see professional athletes in action was through a trip to the park. Given that there were only 16 major league teams spread among just 10 cities, ranging from Boston and New York in the east to Chicago and St. Louis in the west, many fans were lucky to see more than a game or two in person, if that. Given the mastery with which Roger Angell has written about baseball over the decades, it’s hardly surprising that he is among the few still around who saw some of baseball’s first real superstars in person. Born in 1920, he began going to games in New York in the late 1920s, and regularly attended both New York Yankees and New York Giants games. The Yankees featured not only Ruth and Gehrig, but also Tony Lazzeri, Bill Dickey, Earle Combs, Red Ruffing, Waite Hoyt, Herb Pennock and Lefty Gomez, while the Giants had, in addition to Ott and Hubbell, Bill Terry, Travis Jackson, Bob O’Farrell, Freddie Lindstrom and Freddie Fitzsimmons. 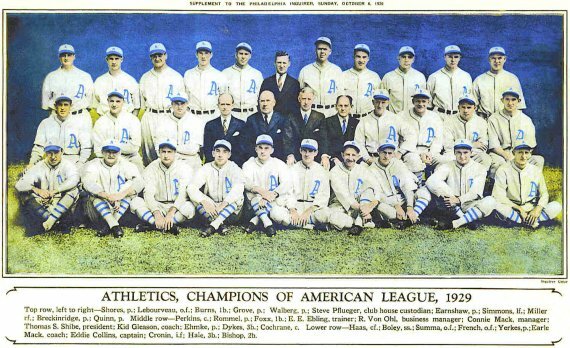 The two teams regularly won or contended for their respective pennants, which meant, in the days before baseball watered its product down with seemingly endless rounds of playoffs, that they would often go on the World Series. My father began taking me and my four-years-older sister to games at some point in the latter twenties, but no first-ever view of Babe Ruth or of the grass barn of the Polo Grounds remains in mind. We must have attended with some regularity, because I’m sure I saw the Babe and Lou Gehrig hit back-to-back home runs on more than one occasion. Mel Ott’s stumpy, cow-tail swing is still before me, and so are Gehrig’s thick calves and Ruth’s debutante ankles. Baseball caps were different back then: smaller and flatter than today’s constructions – more like the workmen’s caps that one saw on every street. Some of the visiting players – the Cardinals, for instance – wore their caps cheerfully askew or tipped back on their heads, but never the Yankees. Gloves were much smaller, too, and outfielders left theirs on the grass, in the shallow parts of the field, when their side came in to bat; I wondered why a batted ball wouldn’t strike them on the fly or on the bounce someday, but it never happened. Angell has written a number of highly regarded baseball books over the years, including Late Innings, Game Time, Season Ticket and The Summer Game, but for all the magnificence of those, it’s tough to beat the above for capturing the beauty of baseball’s early years. “… Ott’s stumpy cow-tailed swing …” “ … Ruth’s debutante ankles …” And anyone who recalls the history of the game and the 1930s Gashouse Gang has little trouble imagining the rollicking Cardinals of Hornsby, Pepper Martin, Frankie Frisch, Dizzy Dean, Dazzy Vance, Joe Medwick and Leo Durocher wearing their caps askew or pushed back, or of the Yankees of Ruth, Gehrig, et al declining to do so. His ability to recall old-time players with names seemingly gleaned from the best of Dickens is a treat in and of itself: Eppa Rixey, Goose Goslin, Firpo Marberry, Jack Rothrock, Eldon Auker, Luke Appling, Mule Haas, Adolfo Luque, Paul Derringer, Heinie Manush , Van Lingo Mungo – all of whom played six, seven or eight decades ago. 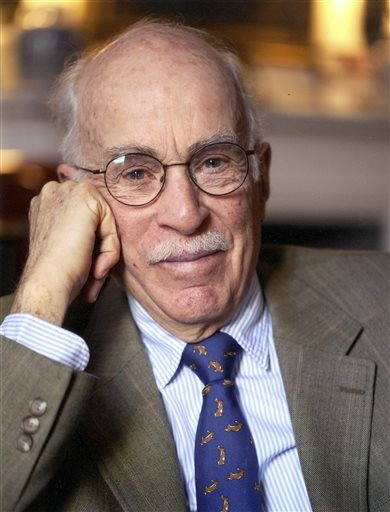 The Baseball Writers’ Association of America recognized Angell in 2014 when they honored him with the J. G. Taylor Spink Award, the highest award given by the entity. Angell became the first, and so far only, non-BBWAA member to be so honored since the award’s inception in 1962. Angell has written on a variety of topics besides baseball with equal aplomb, but there’s something about his ability to cull out the quaint and curious, his understanding of the game and his imminently gifted writing style that makes his baseball prose sparkle.